As abuse of injected heroin and other addictive opioids spreads throughout the United States, heart experts warn of a growing threat: strokes caused by infections contracted through dirty needles. “People need to be more aware that stroke can be a devastating complication of injecting opioids,” said the lead author of a new study, Dr. Setareh Salehi Omran. She’s a fellow in vascular neurology at the Weill Cornell Medical Center and Columbia University Medical Center in New York City. Reporting this week at the annual meeting of the American Stroke Association, Omran’s team said the rate of hospitalizations for stroke rose 20 percent per year between 2008 and 2015, coinciding with the worsening of the opioid epidemic. As the researchers explained, injecting heroin or other opioids can enable bacteria to get into the body. These germs then travel via the bloodstream to infect and inflame heart valves — a dangerous condition called infective endocarditis. Once infective endocarditis occurs, clumps of infected tissue can break off and travel to the brain’s blood vessels and block them, triggering stroke. These types of stroke have become more common in recent years, Omran’s team said, with the largest increase among whites in the northeastern and southern United States. All of this “parallels the rise in heroin overdose-related complications and deaths, which tripled between 2010 and 2015,” Omran noted in a meeting news release. Two doctors who’ve seen these tragic cases firsthand agreed there’s cause for alarm. “This study is a wake-up call,” said neurologist and stroke expert Dr. Richard Libman. 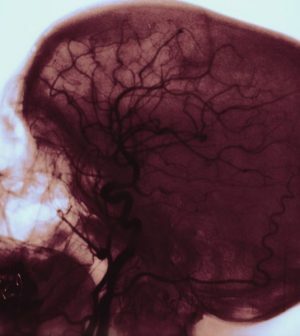 “These types of strokes can be devastating,” added Libman, who helps direct neurology at Long Island Jewish Medical Center in New Hyde Park, N.Y.
“Antibiotics are sometimes useful for the prevention of recurrent stroke, but at other times, antibiotics are insufficient and these patients may require major cardiac surgery to prevent recurrent stroke,” he said.